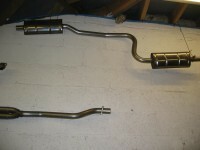 Fourways Engineering supply Datsun 240Z parts both second parts and remanufactured parts. 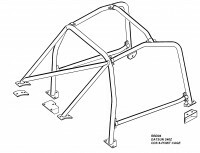 For more information on Z car parts please call our office or send us an e-mail. All prices are exclusive of VAT and postage and packaging. Stainless steel, 32 inch lung, 1.75 inch primarys, 2.5 inch collectors. Fourways Engineering are an official supplier and dealer of Safety Devices.